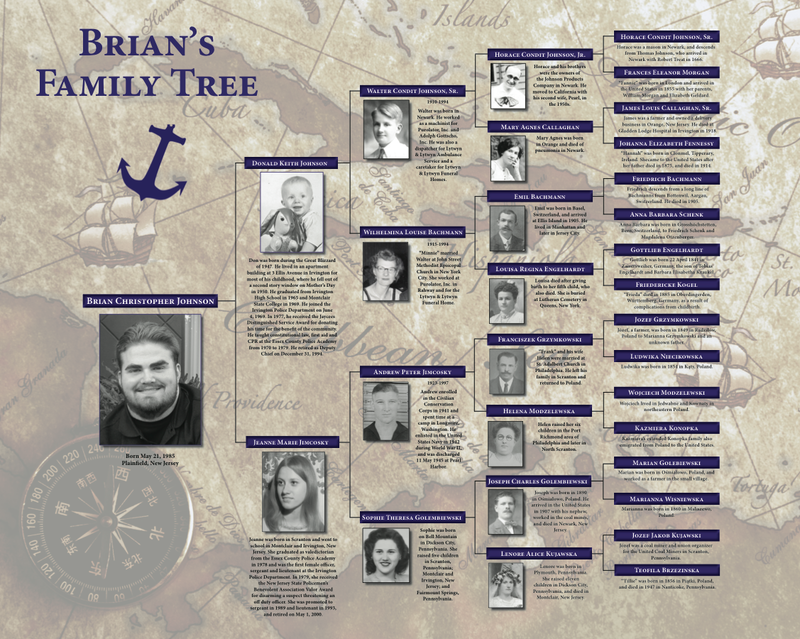 This family tree shows from four to seven generations of an individual’s ancestors and has a background of a nautical map and compass. The design allows for the inclusion of years of birth and death, brief biographical information, and a photograph for each individual in generations one through four. 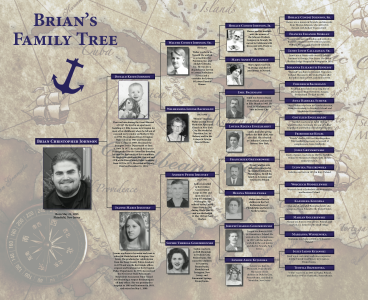 The tree is printed on high quality photo paper in two easily frameable sizes: 24″ x 30″ (4-5 generation trees) or 24″ x 36″ (6-7 generation trees).